Winter is coming. Game of Thrones fans are already with me, but for the rest of you, winter really is coming. The change in season comes along with the need to pay some special attention to your home. Although we live in a fairly moderate climate zone, we still see temperatures dip below freezing and an increase in wet, windy, and chilly weather. There is a big difference between a dry, sunny 20 degree day and a wet, windy 42 degree day. We feel colder, even when the thermometer says we are not. Check the perimeter of your home each winter to ensure downspouts are directing water away from your foundation with drains or splash blocks, as shown here. To combat the chill and keep your home safe, efficient, and cozy, follow these 8 tips offered up by the experienced professionals at Boggs Inspection Services. With thousands of inspections under their belts, these guys know what makes a house run smoothly, and what the common pitfalls are which create wintertime headaches. Give your heating system at tune-up. For typically less than $150, a technician from a local HVAC company can come to your home and look over all parts of your furnace or heat pump ensuring proper function and maximum efficiency. A critically important CO2 leakage test is usually included as well. Don’t wait until a major storm or cold snap to call. You may well end up at the end of a very long line of customers waiting for service. Reverse the direction of your ceiling fans. 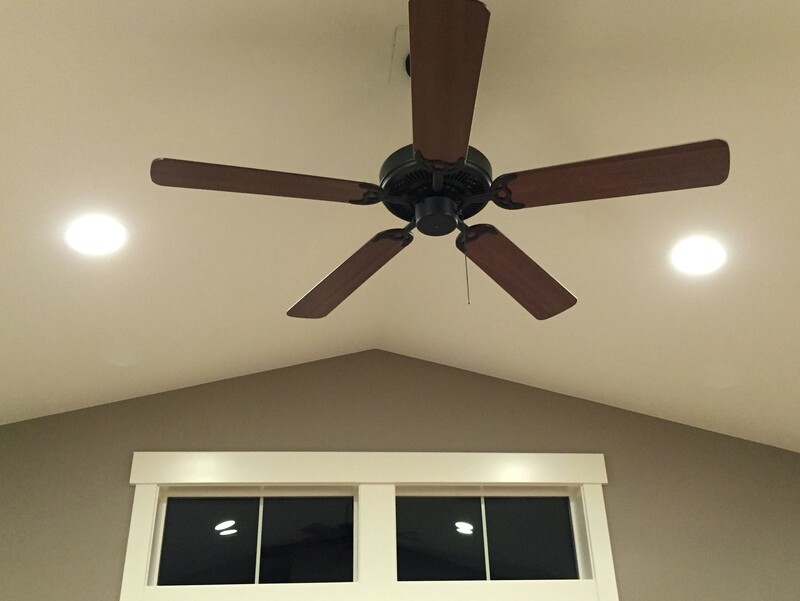 Reversing the direction your ceiling fan rotates to a clockwise direction, especially in a vaulted room, will increase heat circulation and help control heating costs in the winter. This one was new to me, but makes so much sense I feel silly not knowing it before. 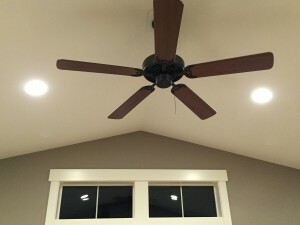 Most models of fans have a simple switch to reverse the blades to turn in a clockwise direction. This forces air down, away from the ceiling. As hot air rises, this will push heated air (the air you are paying to heat in your furnace) back down toward the people sitting on the couch. In homes with high ceilings, this could result in being able to turn your thermostat down a degree or two. 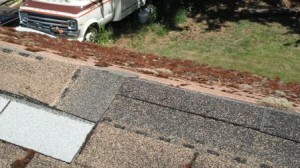 After the leaves and needles drop in the fall, roofs can be covered with debris. This leads to trapped moisture and spells trouble for homeowners. If you feel comfortable, climb onto the roof, always using safety precautions, and inspect singles, flashings and gutters for damage or clogs. If you don’t want to venture up top, call a professional. Prices are fairly reasonable for a quick inspection or cleaning job. Clear debris from the roof with a rake or blower, but be careful to work in the direction of the shingles, avoiding pulling up shingle edges. Moss and debris on your roof can cause damage to shingles and flashing, ultimately resulting in costly repairs and leaks during the rainy season. It’s amazing how much heat, and money, goes out of leaky windows and doors. Even tiny gaps where caulk is loose or missing can cause drafts and heat loss. A professional energy auditor is a great option if you want to analyze the entire building envelope, finding hidden leaks. However, a tube of caulk and an exterior inspection goes a long way to sealing areas of potential heat leaks, which double as avenues for moisture and cold to get in. Check exterior hose bibs and drain your sprinkler system. Nobody likes a broken pipe. And, when temperatures dip below freezing, exterior hose bibs are the first to go. Disconnect all hoses and, if you don’t have frost-free spigots (most houses 10 years old or newer do), turn off the water from inside the house. If you have a sprinkler system, be sure to drain all lines. Digging up your lawn to find a leaky pipe will not be your favorite spring activity, I promise. If you are unsure how to drain them, call a lawn care company who can either walk you through the job, or typically do it for you for a small fee. Put your pruners away (until at least February). Keeping your fireplace or wood stove in good condition, including regular chimney sweeping, ensures a safe and cozy winter. It’s tempting to prune away excess summertime growth once the leaves have fallen. Resist the temptation to prune trees and shrubs until late winter when they have been dormant for several months. Just before spring growth emerges is the best time for pruning. For advice, contact the Thurston County Master Gardeners Foundation where you can attend free classes and access terrific region specific material. Check your chimney and fireplace. 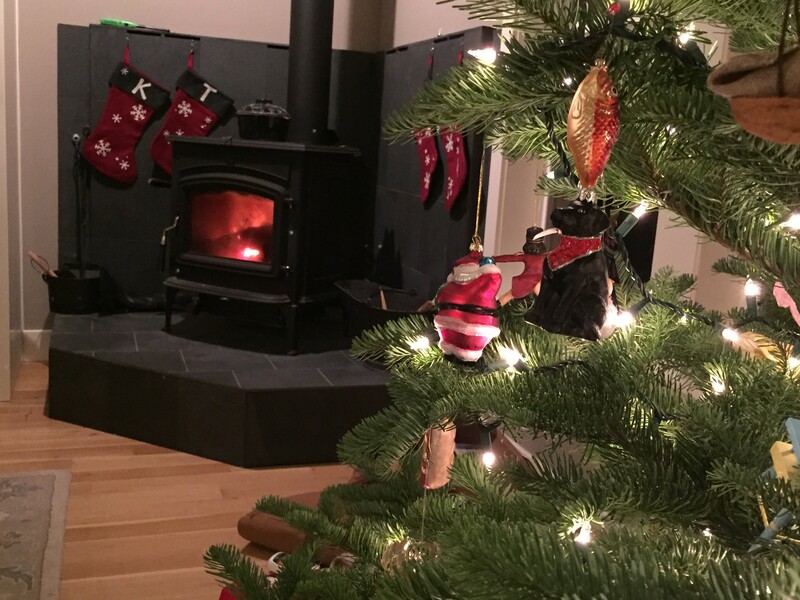 Just because Santa travels down your chimney, doesn’t mean it’s clean and ready for several months of burning. Follow this comprehensive checklist crafted by Boggs Inspection Service to ensure your fireplace is creating cozy memories and not a nightmare. Check your rainwater management systems. So, that’s a fancy way of saying, “Check your gutters and downspouts.” With the large amount of rain we’ve already experienced this winter, and more in the forecast, it’s essential to make sure all that moisture is being diverted away from your home. Gutters should be clear of debris and connect to a downspout in good working order. All downspouts should point away from your home and connect either to an underground drainage system or a splash block, directing the water away from the foundation. Water can be a home’s worst enemy when not given proper attention. If you’re interested in knowing more about the ins and outs of your home, and whether it’s hiding some bad news, call Boggs Inspection Service for a full home inspection. While most of their work involves homes for sale, they also offer general inspections year-round. Their expertise can put your mind at ease during the harsh winter weather for a price that won’t break the bank. For more information, visit Boggs Inspection Service online or call 360-480-9602.